1 . First of all you need to open your Facebook account. Then particular status where your want to mention or tag all friends in Facebook comments. 2. Then open tag post into new tab or your browser so that only particular will visible. 3. copy below given script and copy paste all the code. 4. After copy all code, go back to tab where status is open. 5. Then Click F12 button and Inspect element box will be start appearing. 6. Switch to console tab and paste all the codes which we copy from above. 7. After Pasting code into console press enter. 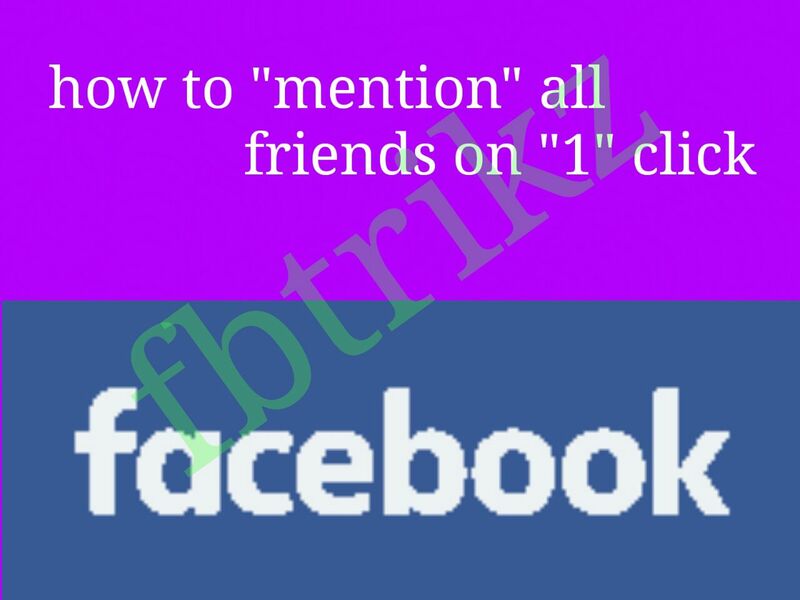 Now wait for few sec your all friends get auto tag in Facebook comments.